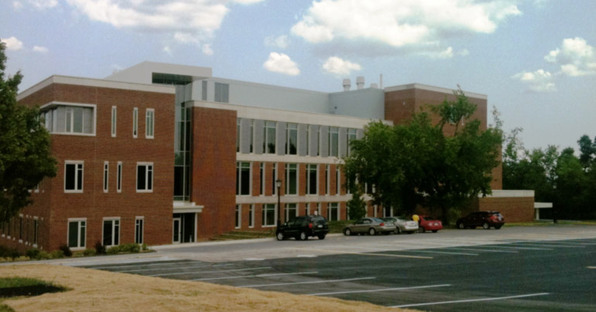 Institute of Nanoscale Materials Science where the Analytical facilities are located. The facility instrumentation is available on a 24/7 basis at reasonable hourly rates. The NanoFab is housed within the Physics building. 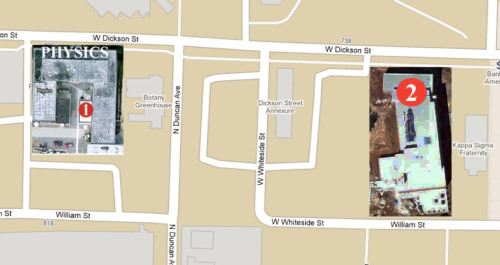 The address is 835 Dickson St, Fayetteville AR 72701 (Location -1-). Our laboratories are easily accessible from any place on campus. Access to the equipment room is controlled by key card access. All authorized user names are included in a database, giving them limited or full access to the online scheduling system and the equipment depending on their level of expertise. External users from public or private entities also can access both laboratories for after-hours usage, using their “UA Affiliate” key card. This card is issued upon request to anyone conducting any type of official business with the University, as is the case for external users off the facility.